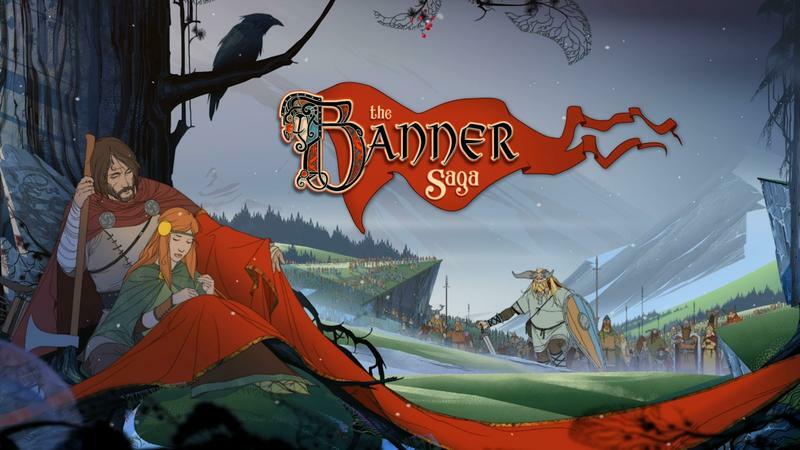 Stoic Games, the developer of this year's indie hit The Banner Saga, has spoken out about the frustrations of pricing games and people who will only buy at a bargain. In an interview with Polygon about its upcoming iPad port, Stoic Games' John Watson has made it known that he wants to charge premium pricing for his popular game, and Apple actually encourages his doing so. "Apple is frustrated, along with everybody else, about the mentality that's gone rampant in mobile app markets, where people don't want to pay anything," Watson says. They want to pay as little as possible. They think that four dollars is an exorbitant amount to pay for a game, which is very illogical considering most people's lifestyles. They'll spend $600 on an iPad, and $4 on a coffee, drop $20 on lunch, but when it comes to spending four or five dollars on a game, it's this life-altering decision. I'm frustrated with that too." Sounds like the world we live in today. Steam Sales, free-to-play, and DLC have all destroyed the value of video games to the point where we just don't want to pay premium pricing for anything. I'm not stooping to free-to-play in any way, but I'm falling into the same boat when it comes to buying on Steam or PlayStation Network. Why buy a game on release when I can just as easily wait an extra few months and pick it upon sale? It's not like I don't have a monstrous backlog of cheap games to keep me busy in the meantime. It's not a mentality I'm proud of, and it's definitely one that's hard to shake. But hey, I'm getting married, looking for a new apartment, thinking of moving back to the states, applying for spousal visas, and possibly starting a family in the coming years. If I didn't buy games cheaply, I probably wouldn't be buying them at all. "Apple clearly knows this, and I think they're hoping developers are going to be using that on iPad Air, because it can push it now. So they're telling us to go higher-end with our game. We're still making those decisions." Regardless of the mentality the gaming audience shares, Watson makes it clear that The Banner Saga will not be a free-to-play game on iOS despite 81 percent of all revenue on iOS going into free-to-play games, and 98 percent on Android going to free-to-play. As a developer and a publisher, especially on the indie front, it's clearly easy to be frustrated with people seeing the value of your game as less than what you do, but this is a business after all, as publisher PR likes to remind us when questioned on game pricing. If I find it acceptable to wait for a cheaper price, I will, and am under no obligation to do otherwise. I just wonder if I and the rest of the gamers who shop at bargain bins are contributing to a great issue of destroying quality expensive products down the line.